including cancer, heart disease, Alzheimer's disease, and rheumatoid arthritis. What are antioxidant foods? Talk of the health benefits of antioxidant foods is quite common today, from warding off heart disease to slowing degeneration of the brain and eyes. Foods that contain flavinoid nutrients, anthocyanins and proanthocyanidins, help repair and prevent damage to our cells caused by a process called oxidation. Antioxidants work by neutralizing highly reactive, destructive compounds called free radicals. Foods rich in antioxidant enzymes and nutrients are said to help fortify and repair the layers of our skin thus preventing the formation of wrinkles. That is a real plus! I'm glad that wrinkles don't hurt, aren't you? Berries are known to have the highest concentration of antioxidants among all fruits and vegetables. Studies have long praised the benefits of cranberries and blueberries. Purple berries such as elderberry, black currant, and chokeberry have as much as 50 percent more of the antioxidants known as flavonoids than other, lighter skinned, berries. 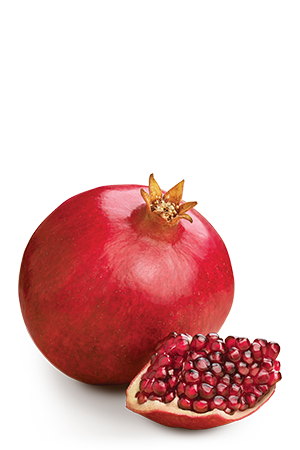 Pomegranate is a rich storehouse of flavonoid nutrients. The unique flavonoids found in pomegranate are being intensely researched for their heart-protective properties, as well as their antioxidant and anti-cancer effects. Cracking open pomegranate fruit reveals juicy, ruby-red, translucent seeds tucked into the white inner peel. Kids love munching on the tart, sweet seeds. It's best to let them eat them outside. The juice gets everywhere, and it does stain! One study was of particular interest to our family since we have a child with cerebral palsy. Mice were given pomegranate juice during pregnancy. The offspring were then subjected to a procedure that mimics oxygen lack during birth-a common cause of cerebral palsy and mental retardation in humans. The babies born to mothers who got pomegranate juice demonstrated 60 percent less brain damage than those born to water-drinking mothers. This seems a good argument for sipping pomegranate juice during the last month of pregnancy! Pomegranate extract also inhibits the growth of dangerous staph bacteria. It has also demonstrated test-tube activity against breast and prostate cancers. This is a fruit to add to your diet. Eat it fresh, try pomegranate juice, or look for an extract in pill form.